I know that in most yoga classes the teacher doesn’t mention the Bandhas, the Dristis, nor the Ujjayi. Now don’t get skeptical just because I use the Sanskrit words, please stay with me. There is simply no words for this in our western languages so we have to use the original words and explain them. Another reason I use them is that you can research them by yourself and find out more if you want to. They are all essential to get the full benefit of yoga or Tristana, the flow of movement allowing you to go into meditation. It is only then that you will get a fantastic body-mind connection and actually meditate while doing postures and you are totally sure you won’t harm your back. You’ll notice how an hour or two feels like 10 minutes, leaving you with that promised vital, calm and centered you. It’s simply very healthy. Healthy is happy! Bandhas means locks, and refers to you locking in and controlling your strength in your body. This will correct your posture, allowing your back to get the two S-curves it needs to be healthy. When you activate these Bandhas you can’t possibly have a bad posture, because your hips and shoulders won’t fall forward creating a C-curve as they normally do. The Bandhas free you from a bad posture and only by thinking of your posture you will become braver and safer in yourself. Try it, all day, even sitting! The Army knows this. There is a reason why the soldiers are taught to have a good posture (unfortunately for the wrong reasons many times). 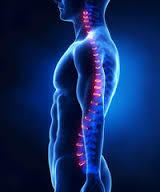 A good posture sends signals through the spine to the nervous system to be self confident, calm and centered. You simply activate (not cramp, not hard, just control) the pyramidal muscle and the whole pelvis muscle, including connecting the two on the inside, in the lower abdomen. This will usually (as most pull their hips forward) cause your hip to tilt a little backwards, bringing your buttocks up and allow the S-curved spine. Automatically the shoulders go back and the head up allowing the cervical neck the needed S-curve too. The double S-curved back is what gives you the suspension effect (saving your other joints), strong back muscles and an unblocked nervous system. Dristis are focal points we use to concentrate on the postures. It’s very logical, in that your hands are normally in the same visual field as your hands. When you raise your arms you look at your thumbs, when you bend over, you look at your knees or toes. The focal point is used to show the direction of your movement. Also it eliminates all the distractions from your sight, for example, a fellow yoga student, a beautiful picture on the wall or a mirror. Yoga is best done with no distractions around, not even a nature scene, allowing you to concentrate on how your body feels, what your limits are and where the pain is. 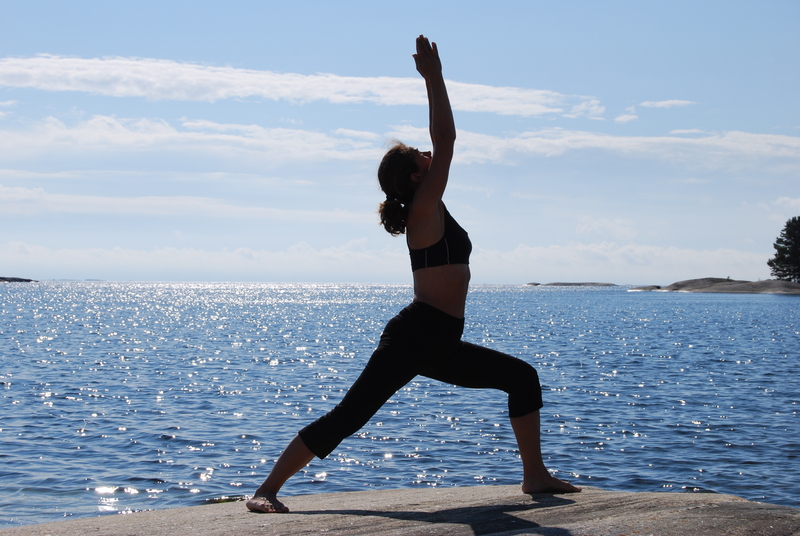 I love doing yoga by the sea or in the shade of a tree in the fresh air, but I have to admit that it can be distracting. Ujjayi breathing is a special, controlled breathing that allows us to get more oxygen to our muscles and get stronger, more flexible, and much more energized yet relaxed. The Ujjayi is the antagonist to stress (I use it to calm down any time I need to) and often used in normal breathing exercises. Ujjayi means ocean, and it sounds like ocean waves (or as my daughter said more like Darth Vader in Star Wars 🙂 The sound comes when breathing not from the nose, not sniffing, but from the upper part of the throat. If you are sniffing you won’t get enough oxygen to your muscles. Only breathe through the nose, control the air coming in and out, mouth always closed, and count the breaths, 5 in each posture, more in the finishing Asanas. Like everything this requires practice, but believe me, anyone can do it in no time, if you just do your practice it will come to you, as Pattabhi Jois sais, the Guru that brought us Asthanga Yoga to the west. He understood that the westerners needed to start with the postures, not the two first parts of the 8 limbs, as they didn’t see the benefit of them. So he turned it around. 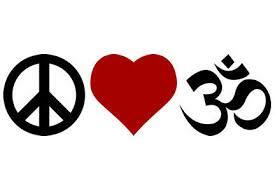 With the yoga practice, the moral values come, with the moral values, health comes, with health happiness and love comes. Next ›Who is Your Guru?